The Southern neighbor country of Austria was downgraded to “A-“. The outlook is negative now. Slovenia´s creditworthiness is worsening. After a series of downgrades of the Slovenian sovereign debt and the Slovenian banking industry in the last days, Fitch has downgraded the Eurozone member country. After a rating of “A” and a stable outlook, Slovenia´s rating is now “A-“. As further downgrades are possible, the outlook is negative. Fitch justifies the downgrade with the financially stricken banking sector and the slow reform implementation of the Slovenian government. 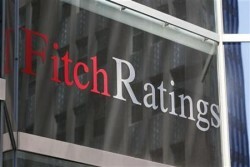 Fitch criticizes that the banking industry should be recapitalized. In the last weeks, not only the Slovenian banking sector was downgraded, also the rating on Slovenia´s sovereign bonds was lowered. . After a downgrade by Moody´s last week, Slovenia´s rating is just two notches above „junk status“. Like Fitch, Moody´s referred to the problems of the banking industry and the vulnerability of external shocks. Besides that, Moody´s stressed the rise in interest rates on Slovenian sovereign bonds. Just a few days before, Moody´s had downgraded the three biggest banks NLB (Nova Ljubljana Banka), Nova Kreditna Banka Maribor (NKBM) and Abanka Vipa. What is more, the outlook is negative for all of them. The downgrade was the second one this year. The Slovenian state is the majority owner of all three banks. In its banking industry country risk assessment (BICRA), the U.S. rating agency put Slovenia to group seven from group six last Monday. S&P´s BICRA scale has ten groups. Last Friday, S&P has lowered Slovenia´s sovereign debt rating from „A+“ to „A“. Due to the high NPL quota, S&P expects that the profitability and the equity base of the Slovenian banks will come under pressure.